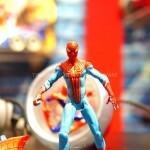 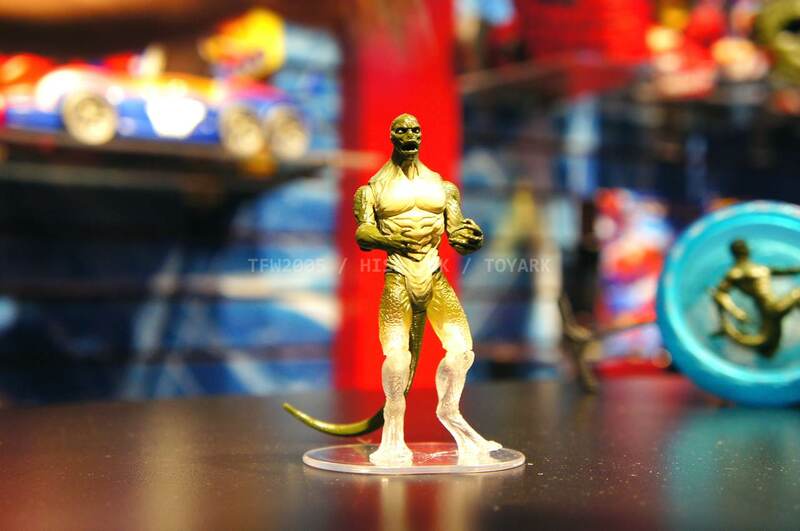 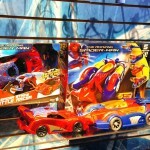 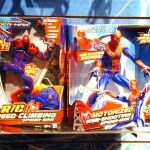 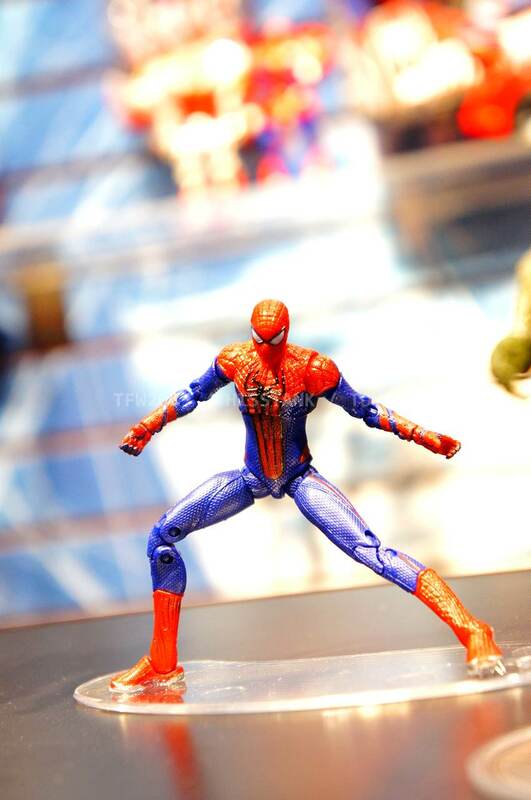 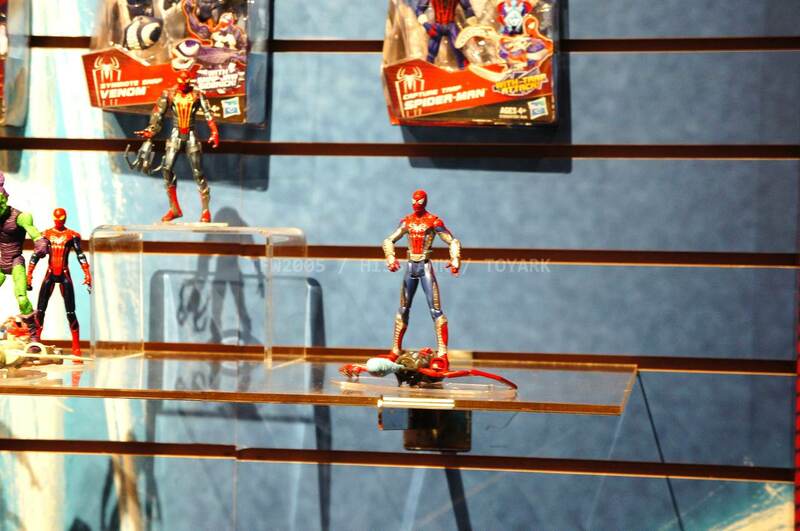 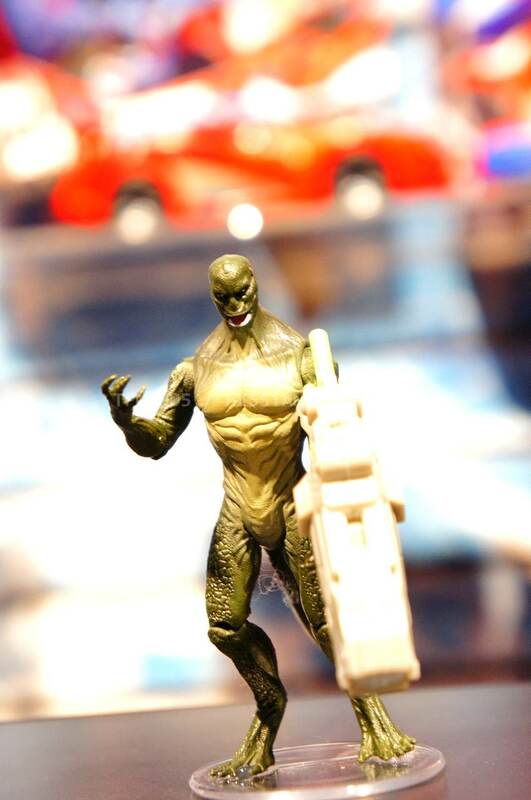 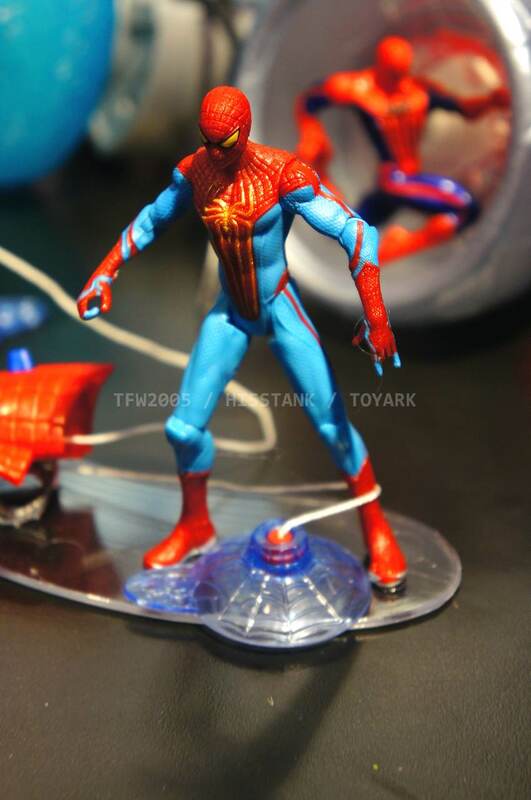 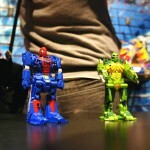 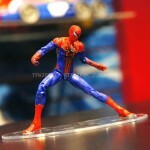 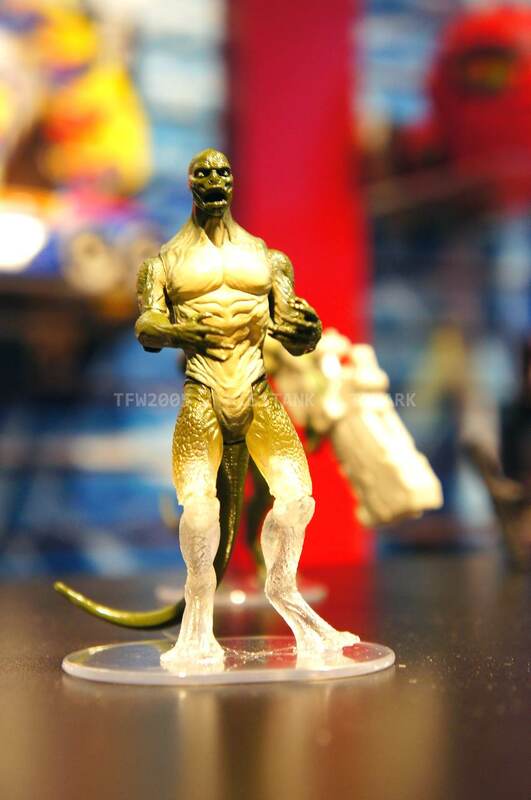 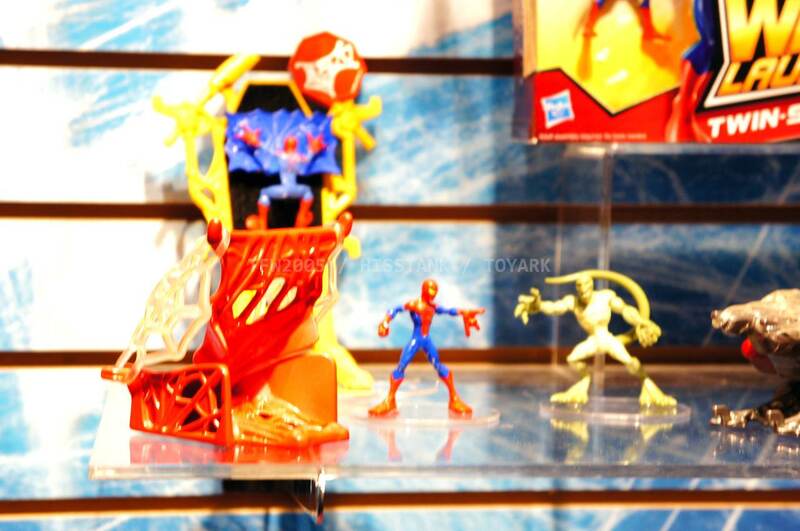 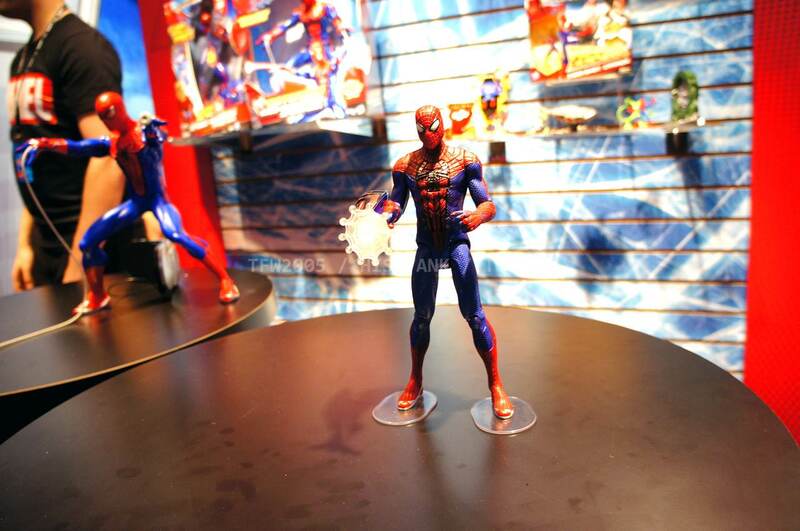 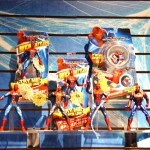 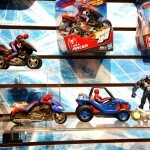 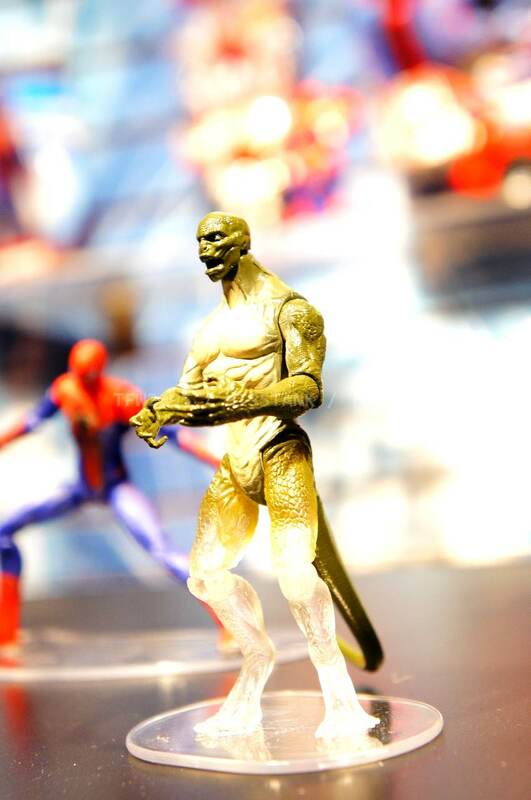 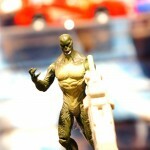 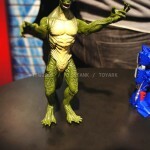 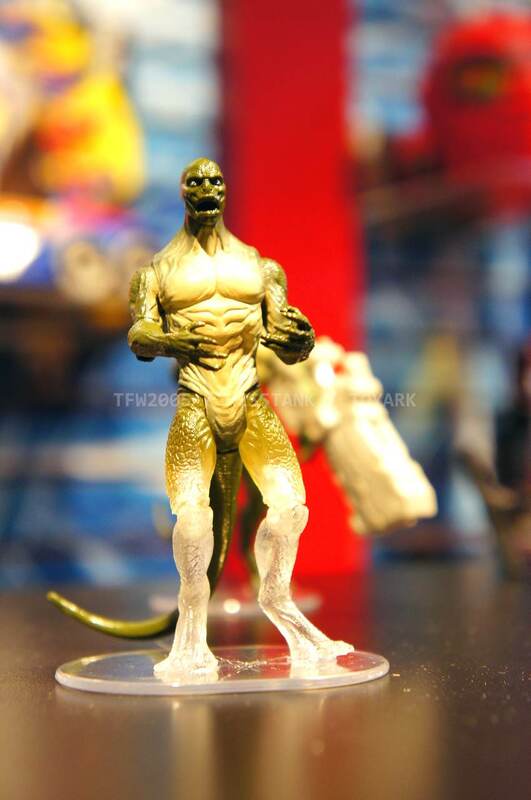 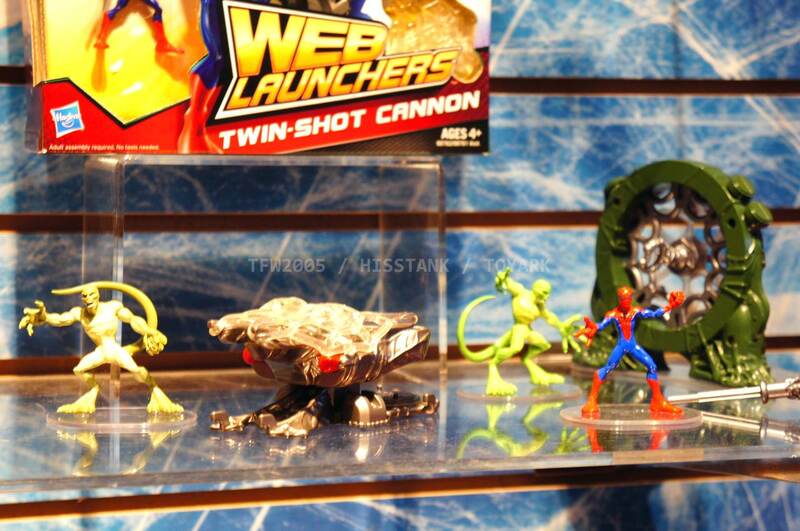 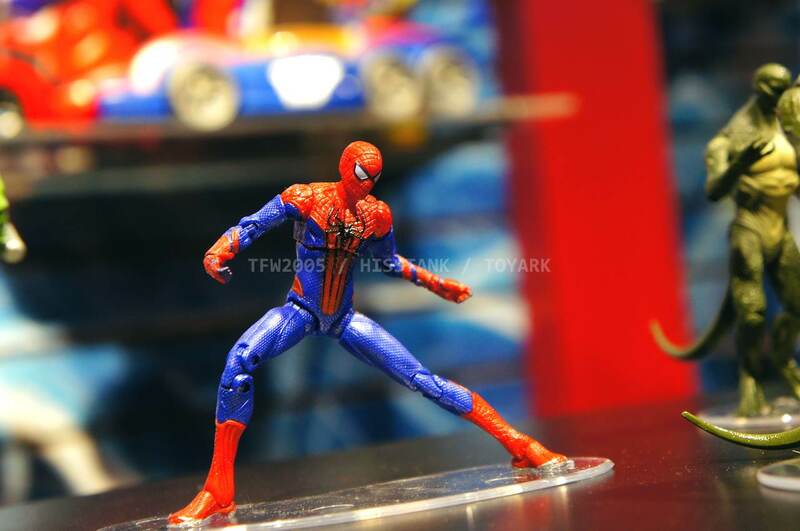 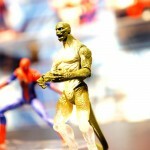 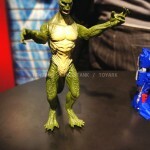 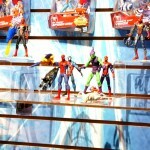 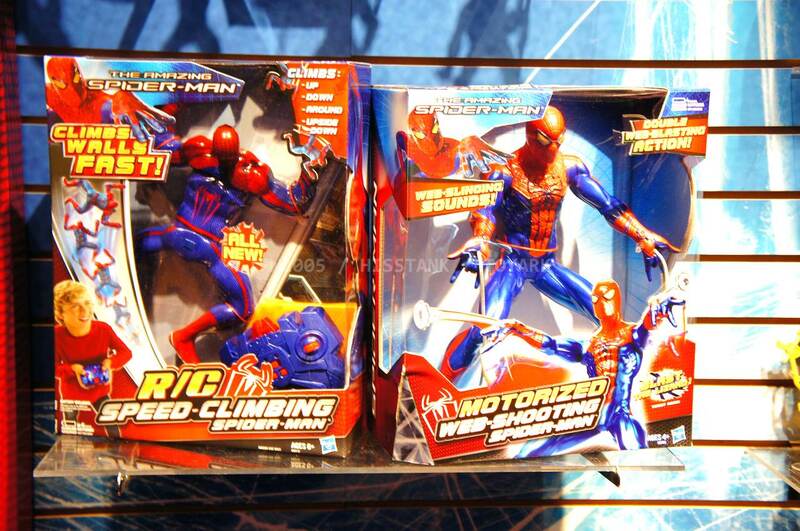 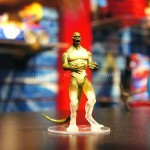 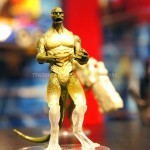 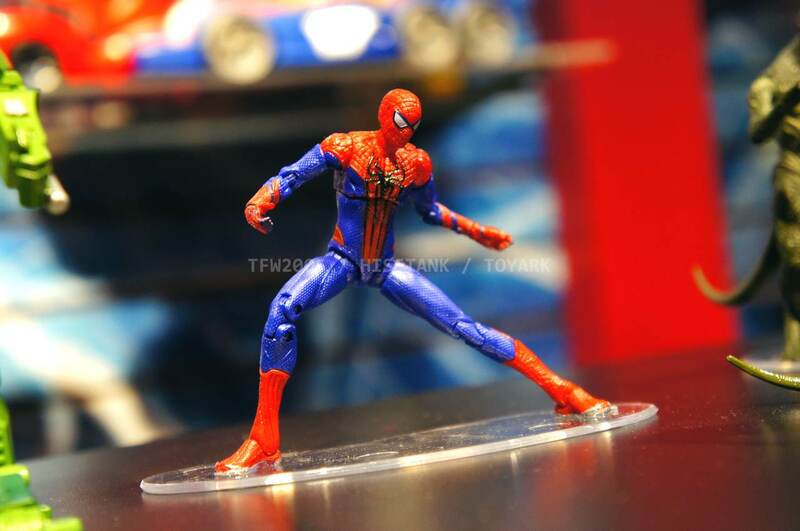 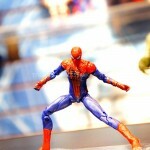 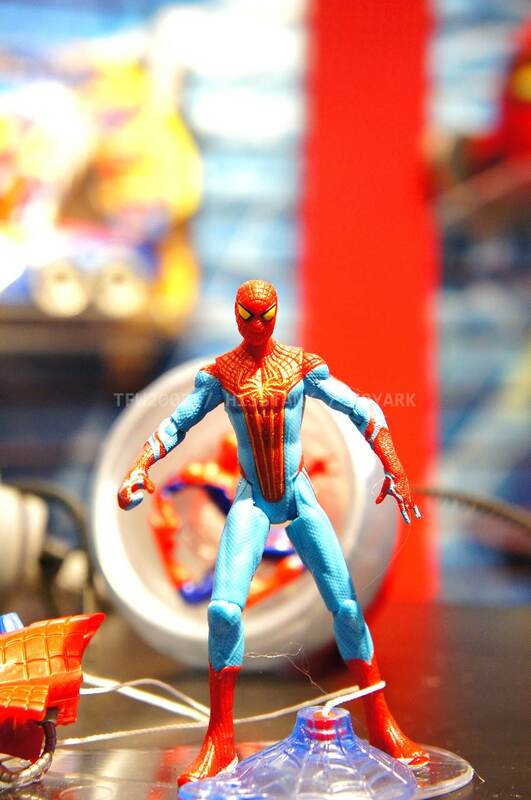 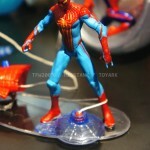 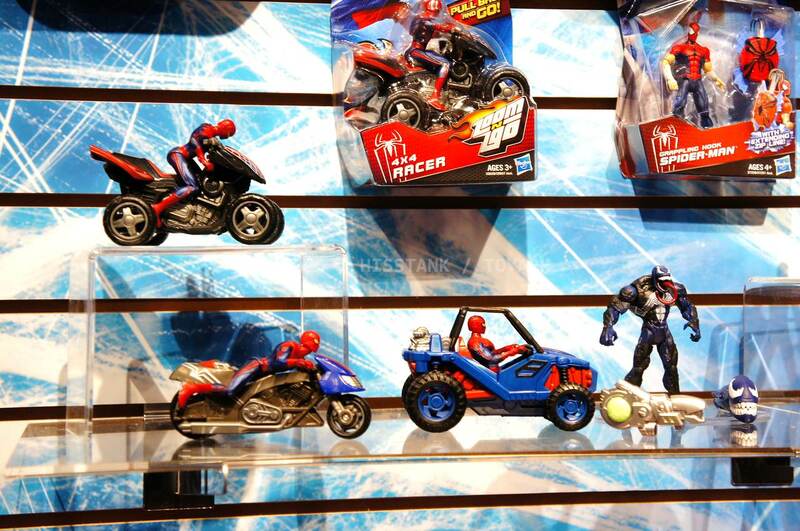 Check out images from the Hasbro show room of upcoming Spiderman movie figures. 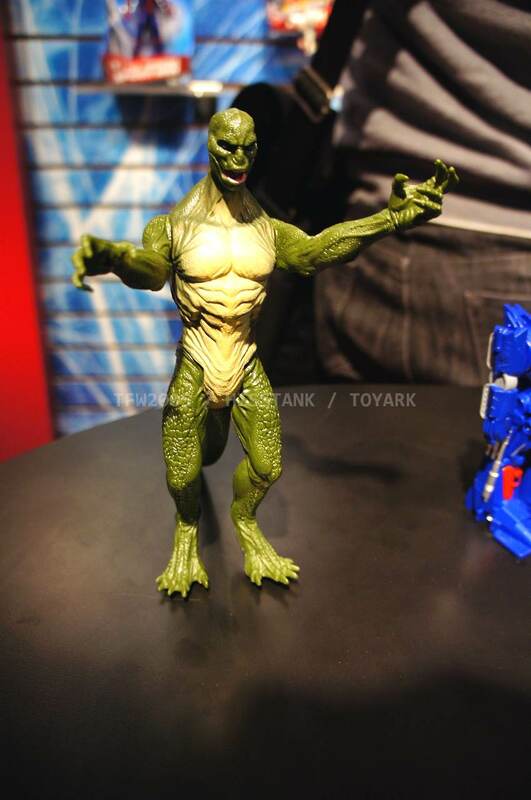 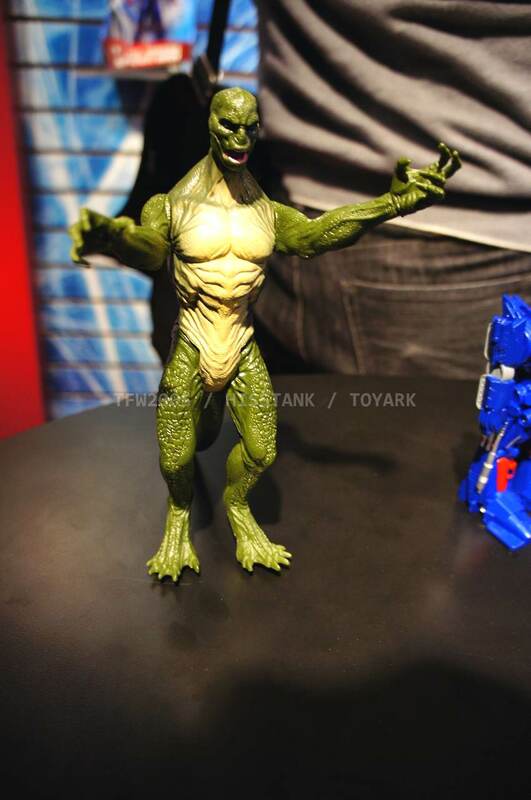 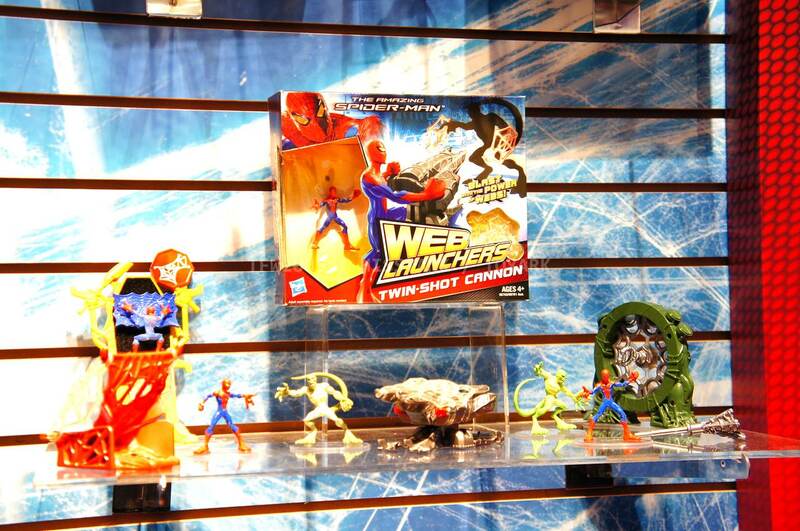 Nearly the entire line is aimed at kids, so for collectors, perhaps we’ll get something more suited to us shown at SDCC. 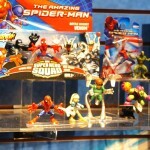 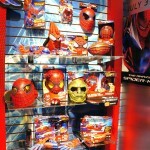 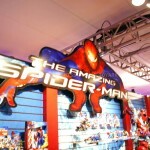 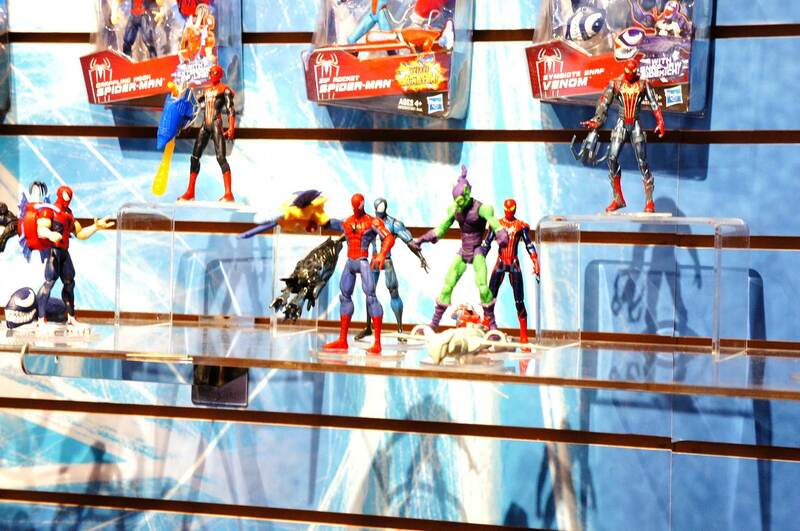 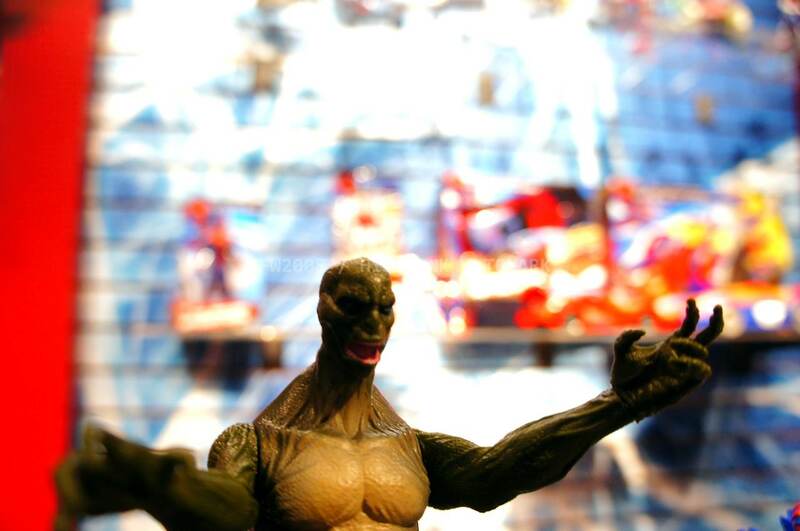 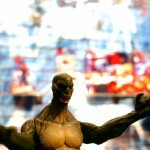 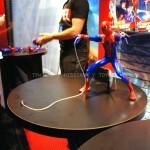 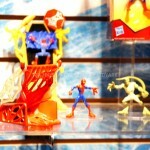 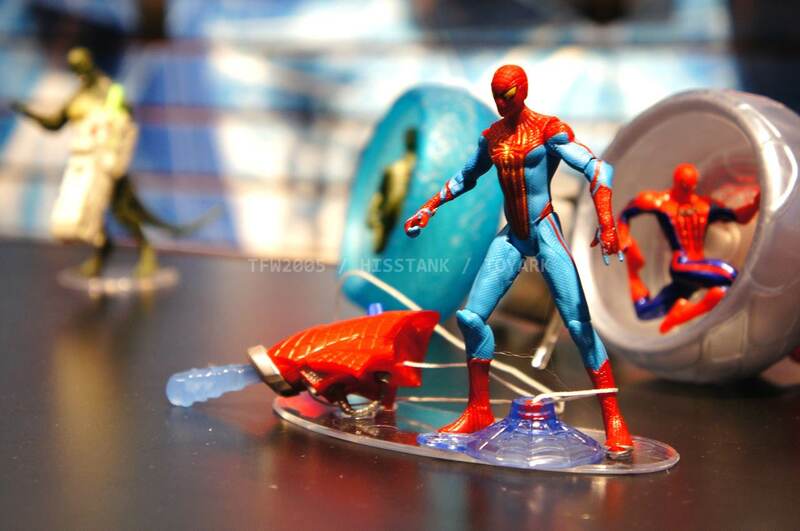 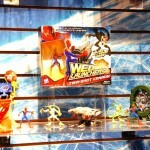 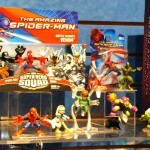 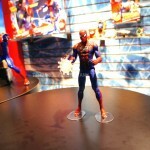 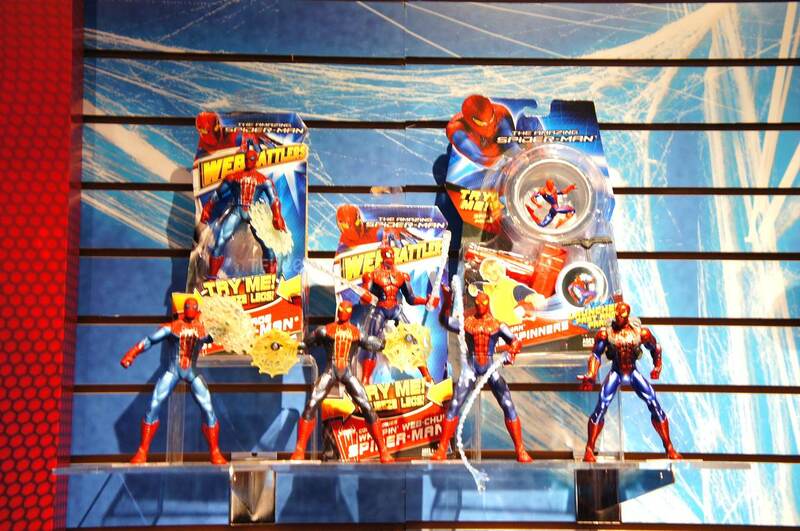 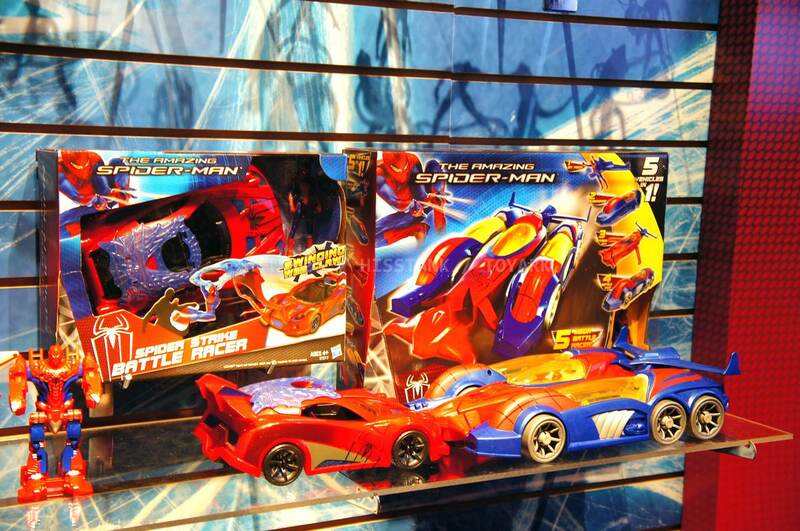 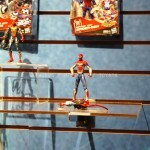 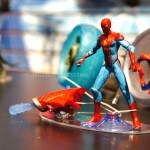 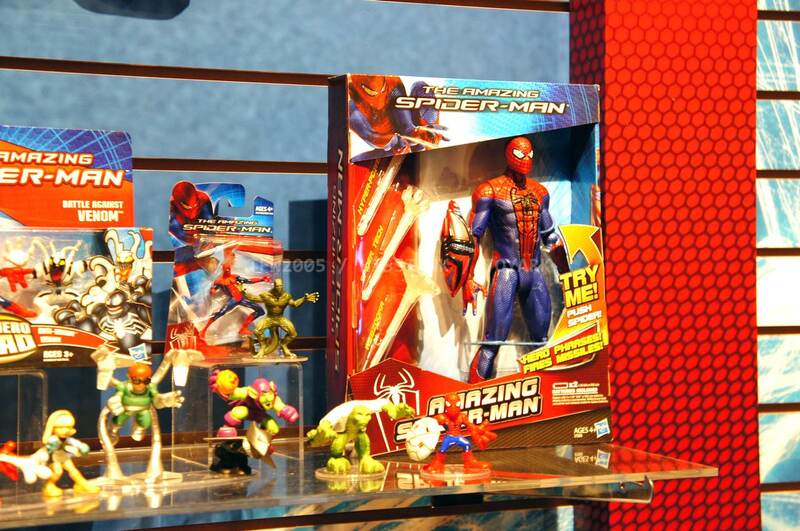 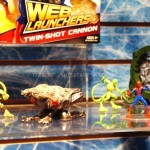 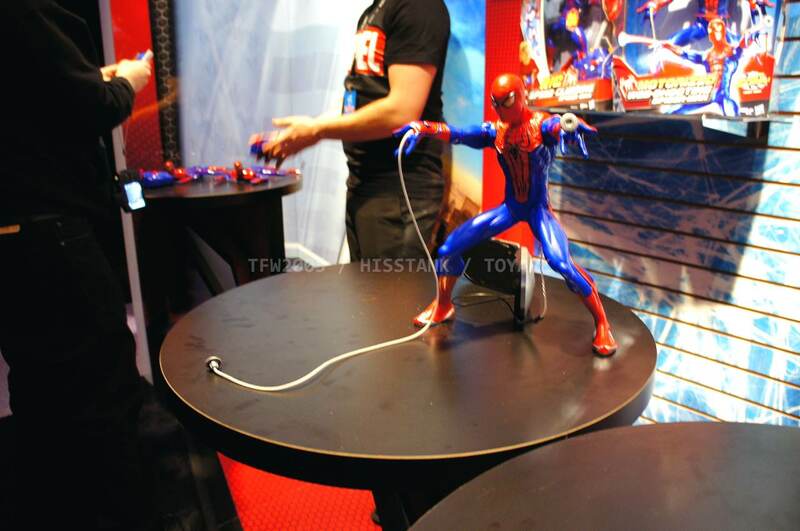 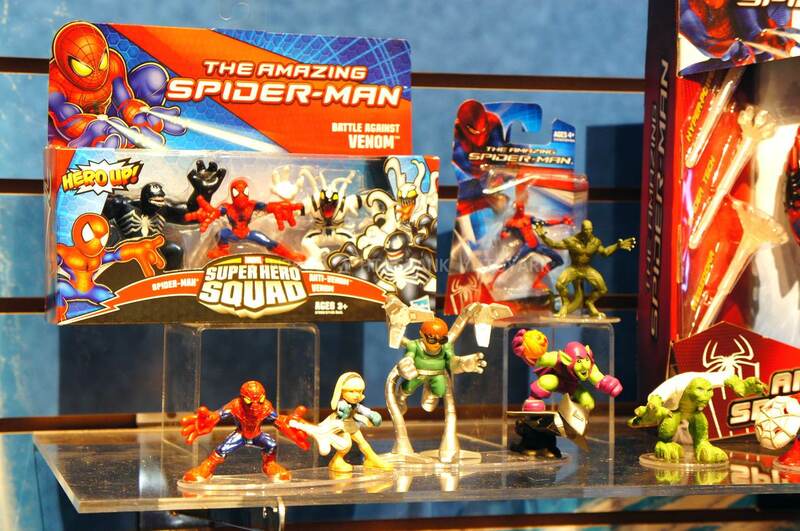 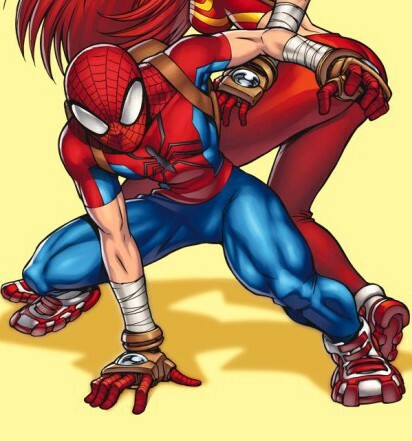 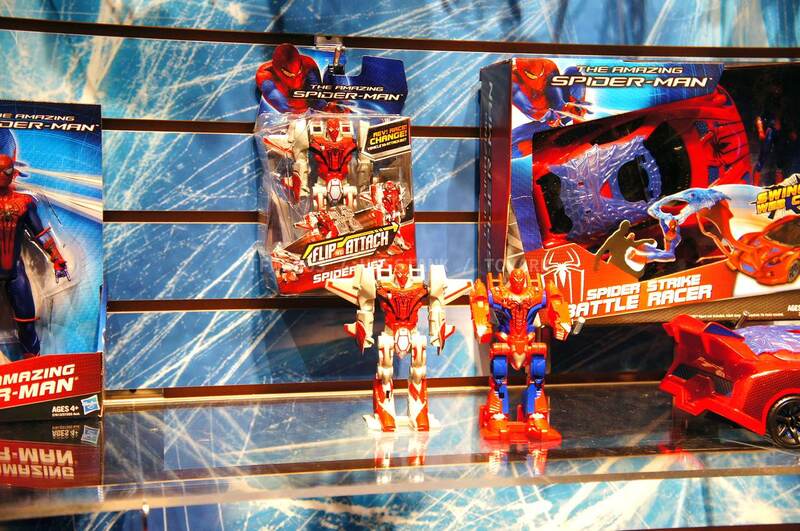 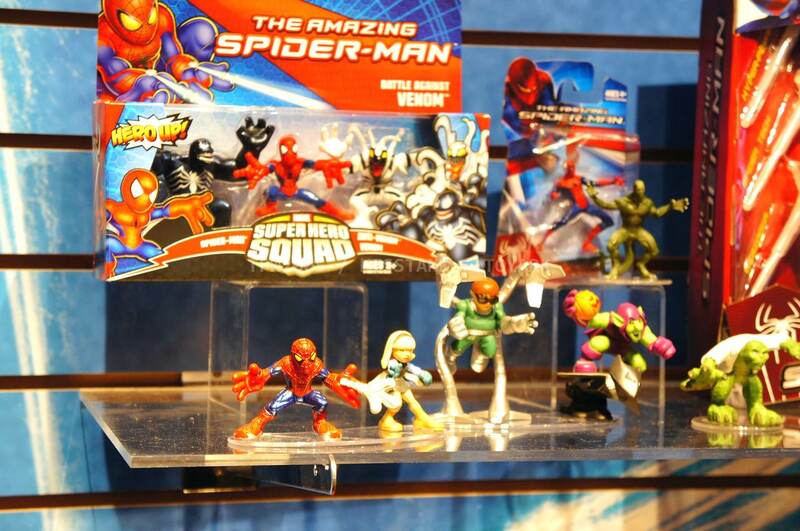 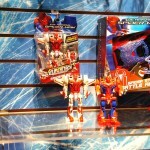 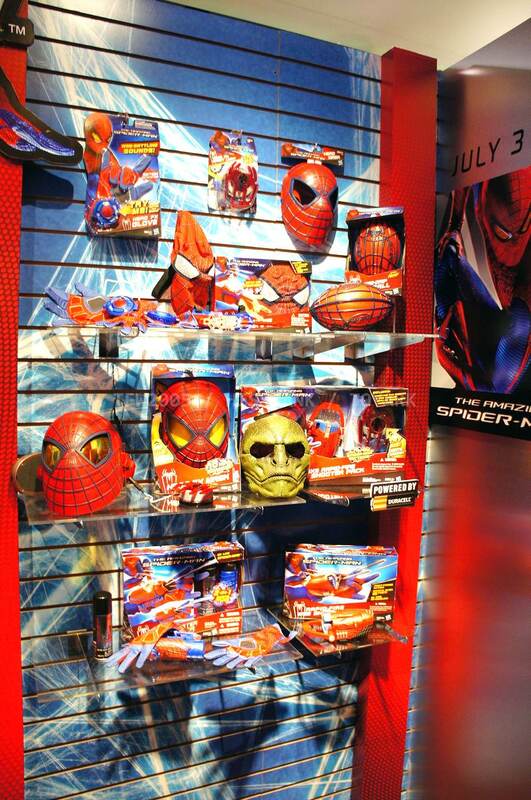 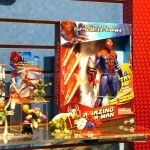 The super articulated Spiderman shown last year at SDCC 2011, is shown here, in addition to a bunch of role playing items and figures with gimmicks. 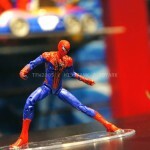 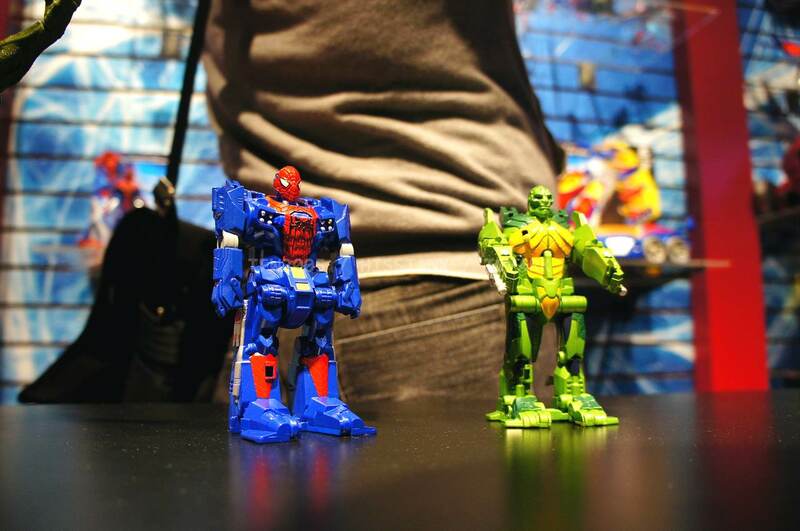 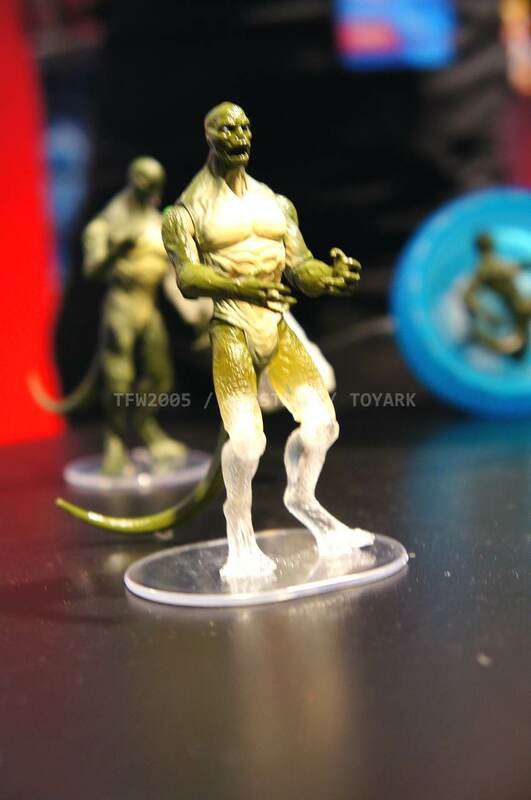 Nearly all of the single carded figures feature t-crotches in lieu of articulated hips. 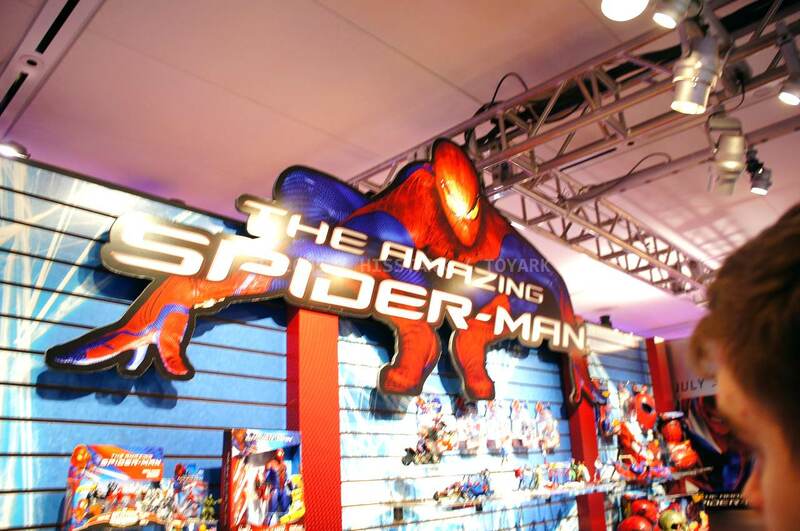 Will this line still be a hit with kids?